UPDATE: The location is set to open sometime in Spring 2019. 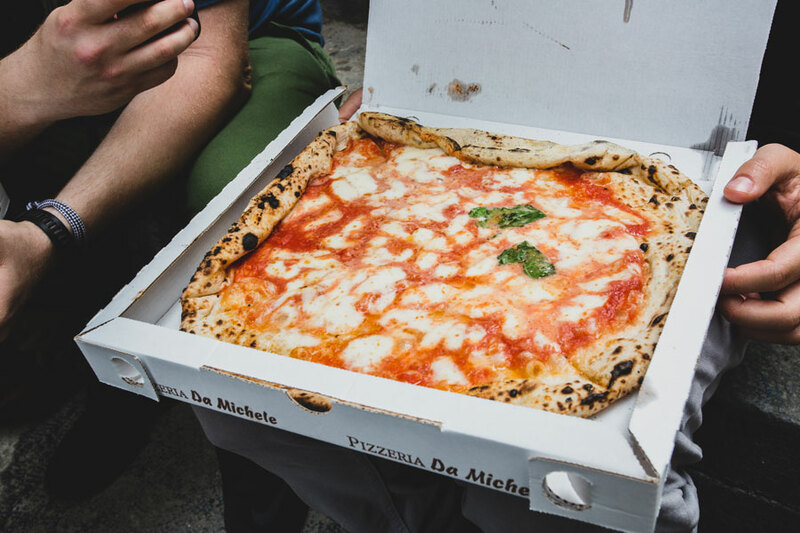 A few years ago, members of the Foodbeast team had the opportunity to visit Pizza Da Michele, an iconic pizzeria located in Naples, Italy. Truly one of the best pizza experiences we've ever had, it was bittersweet knowing we'd have to eventually say goodbye. At least that's what we thought. Yet much to our delight, Eater reports that the prolific pizzeria is finally coming to the United States, specifically Hollywood, CA. While there are storefronts in multiple countries, this will be the first location to ever hit the US. During our time in Italy, fellow Foodbeasts Elie Ayrouth, Marc Kharrat, Isai Rocha and myself swung by the restaurant to check out the staple from Naples. Was it worth the line out the door and into the street? You bet. "This is up there with the best pizza I've ever had, and it was five euros a pizza," said Ayrouth. "This is going to f*ck up pizza for me, forever." The new location will serve wood-fired marina pizza and Margherita pizzas, mirroring the original restaurant's menu. However, the new Los Angeles spot will also serve Italian breakfast and coffee in the mornings as well as a few new to-be-annouced dishes. "It looked pretty good when Marc and Elie ate it, and didn't share." said Rocha. "So I'm excited to finally try it." According to Da Michele, the Hollywood location should open in Spring 2019.